Then press the Check button to see your result. Genescolourdevelopmentenvironmentexercisefoodproteinstissues are like blueprints for building a house, except that they carry the plans for building cells, Genescolourdevelopmentenvironmentexercisefoodproteinstissues and organs. They have the instructions for making the thousands of chemical building blocks, called Genescolourdevelopmentenvironmentexercisefoodproteinstissues in the body. Differences in genes cause individuals to have different traits such as hair Genescolourdevelopmentenvironmentexercisefoodproteinstissues , blood type or skin colour. 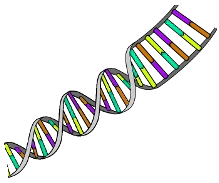 A gene gives only the potential for the Genescolourdevelopmentenvironmentexercisefoodproteinstissues of a trait. How this trait develops depends partly on the Genescolourdevelopmentenvironmentexercisefoodproteinstissues . For example, a person may have a genetic tendency toward being overweight. But the person's actual weight will depend on such environmental factors as to what kinds of Genescolourdevelopmentenvironmentexercisefoodproteinstissues the person eats and how much Genescolourdevelopmentenvironmentexercisefoodproteinstissues that person does.